Considered to be a traditional belt by several art forms. 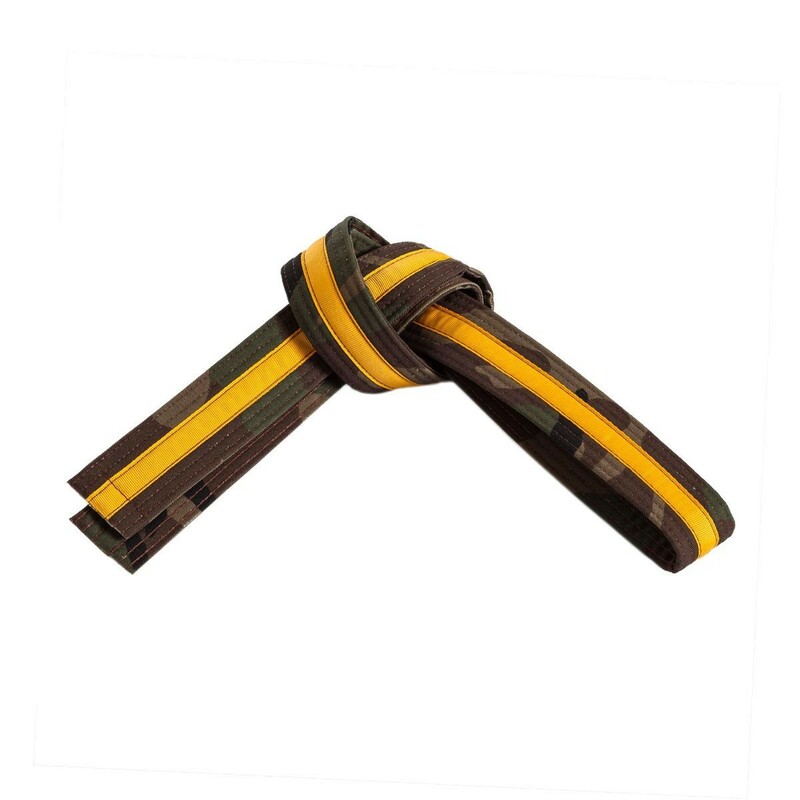 Features a 1/2" black or gold stripe on the front side and six rows of chain stitching. 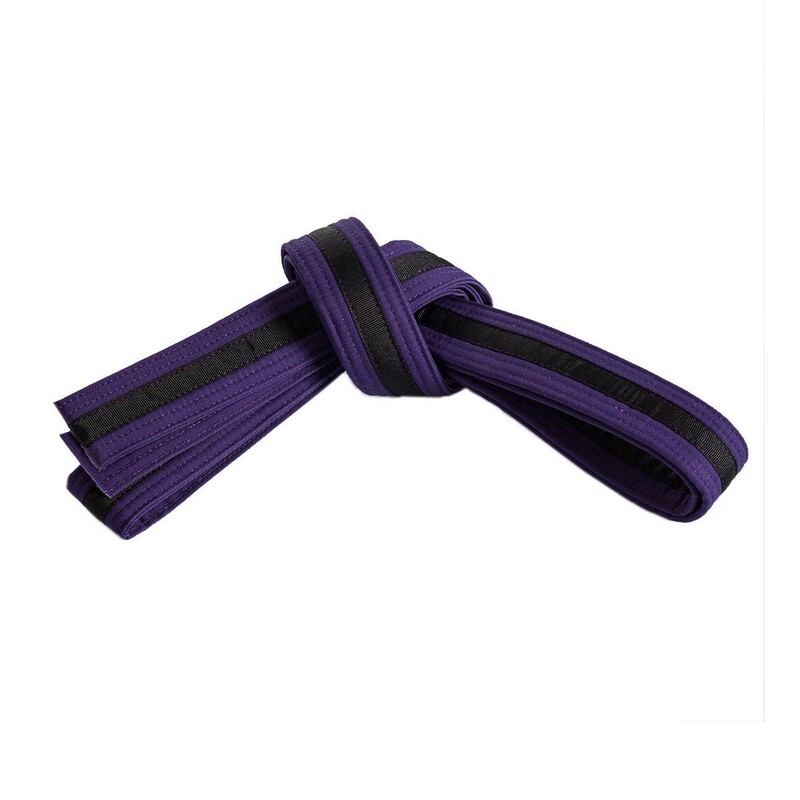 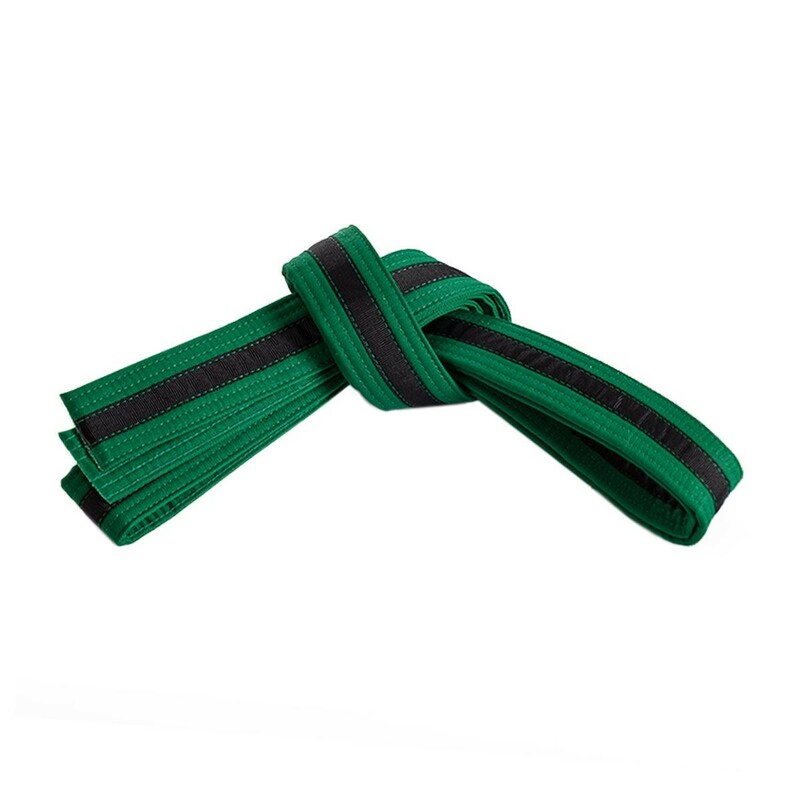 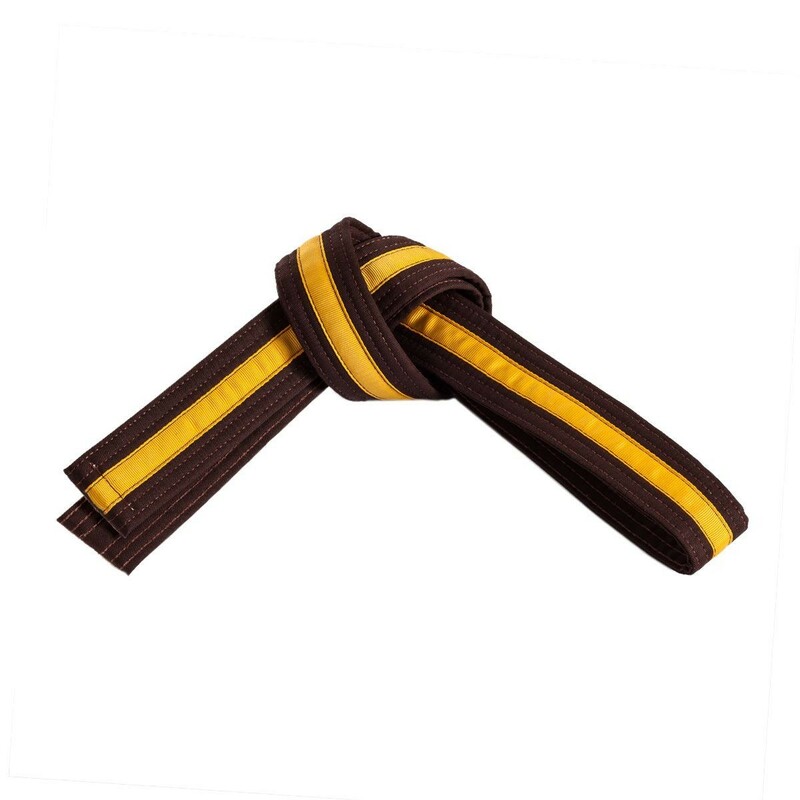 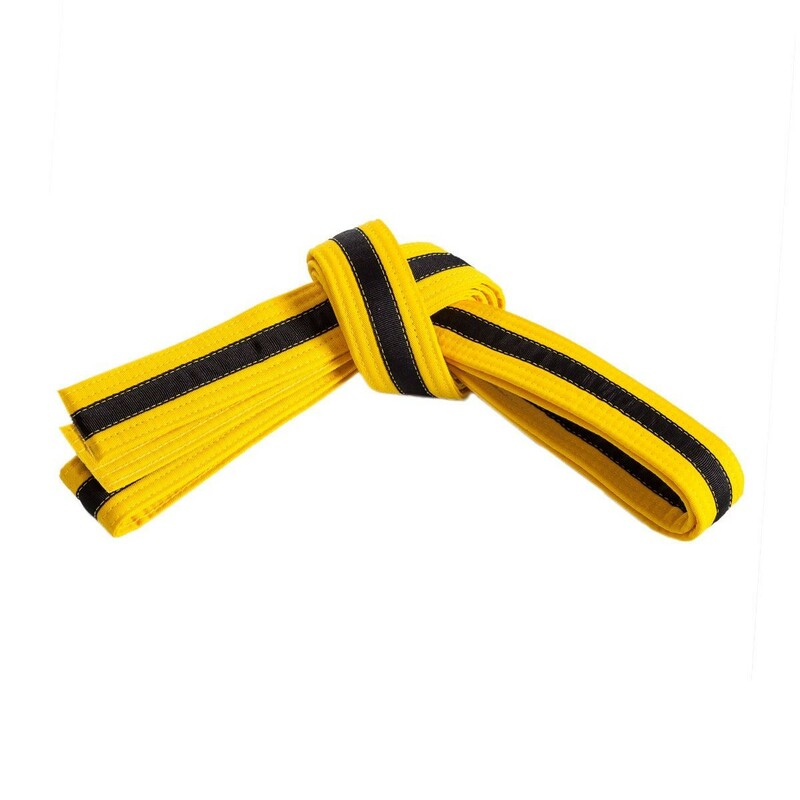 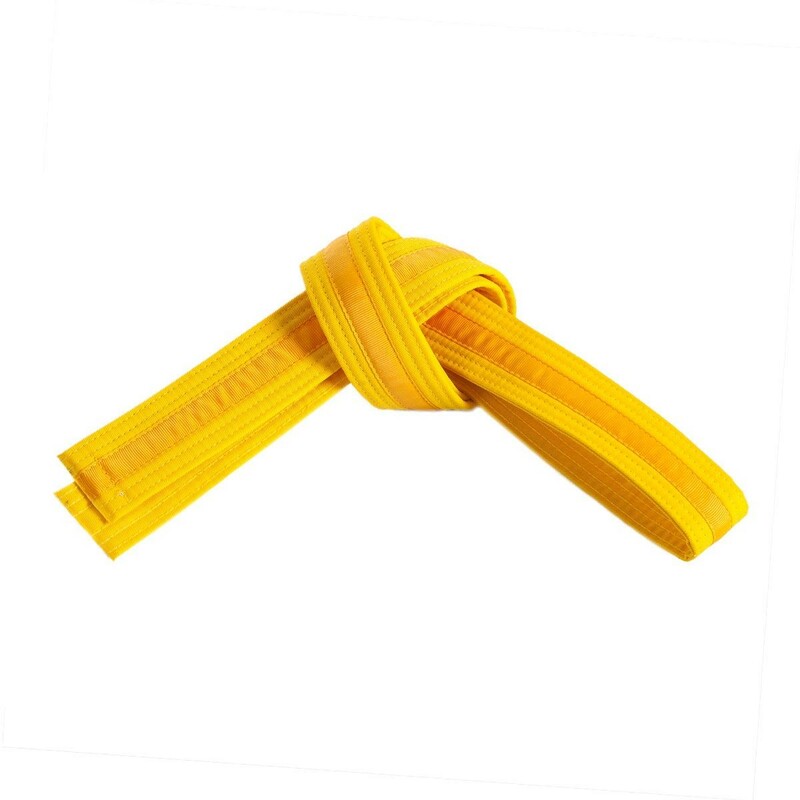 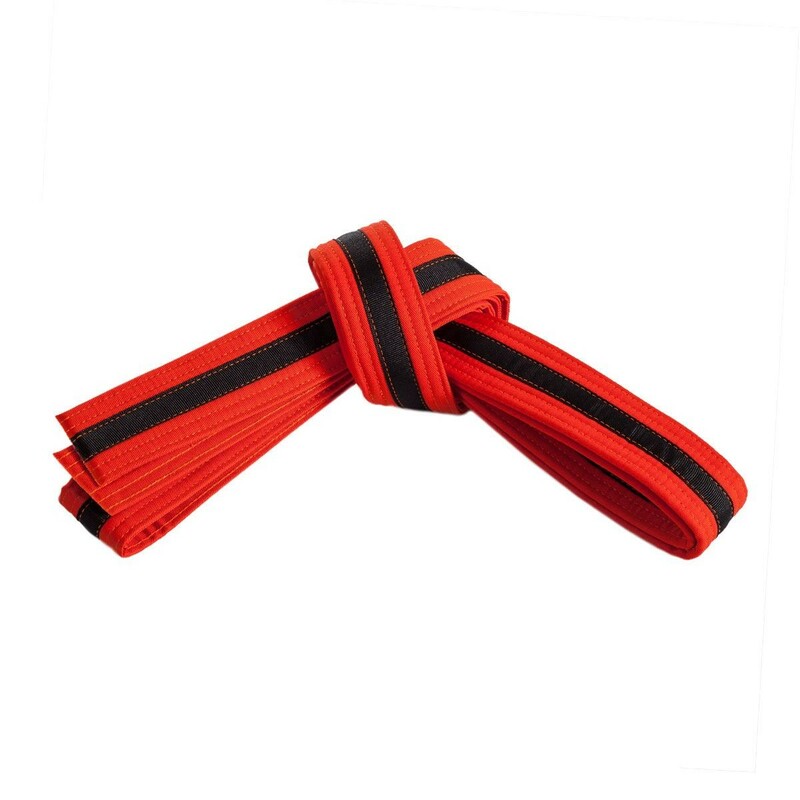 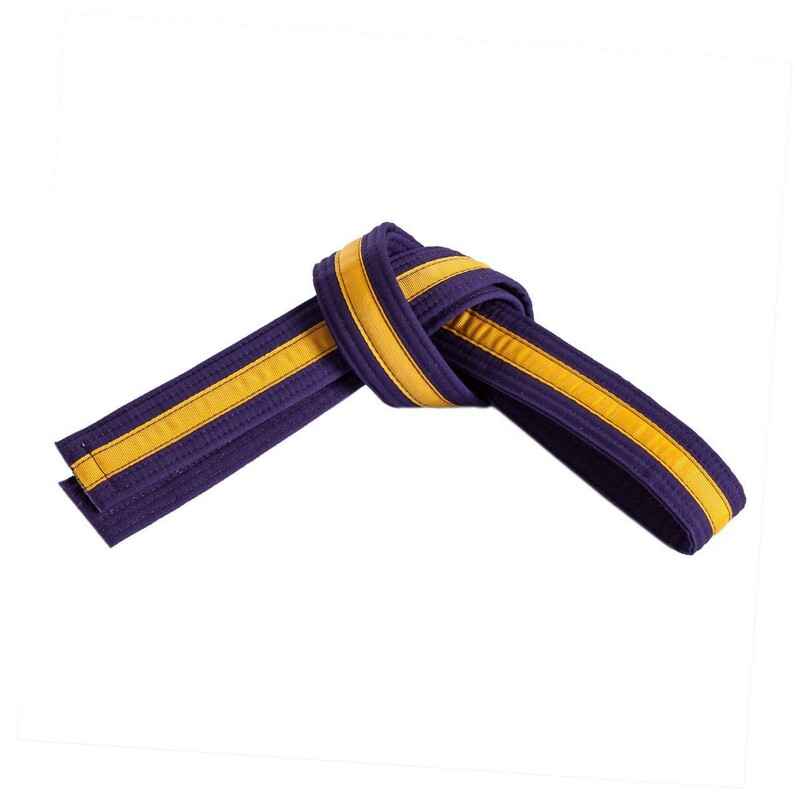 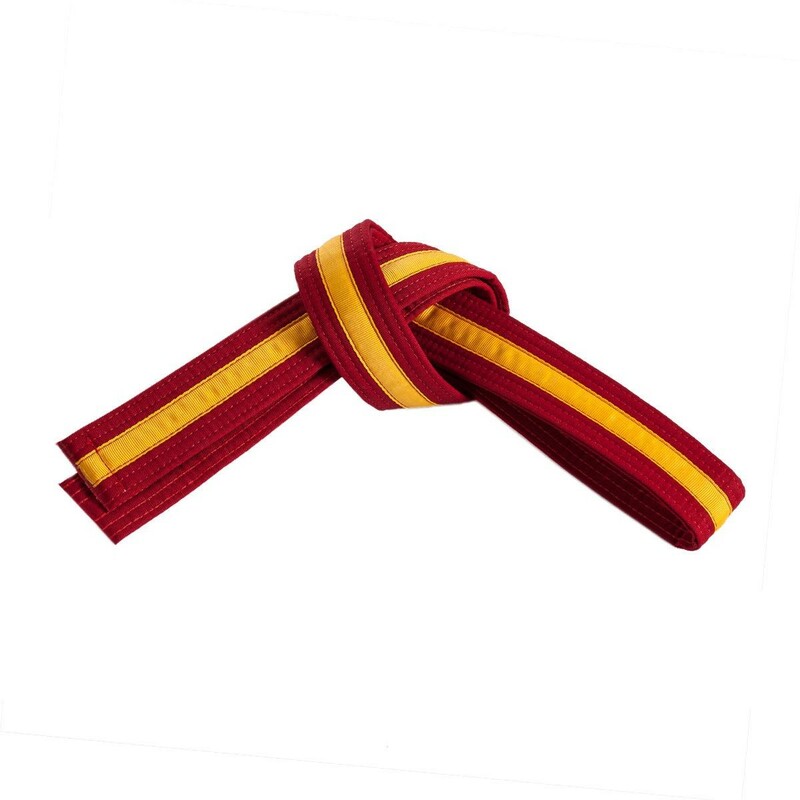 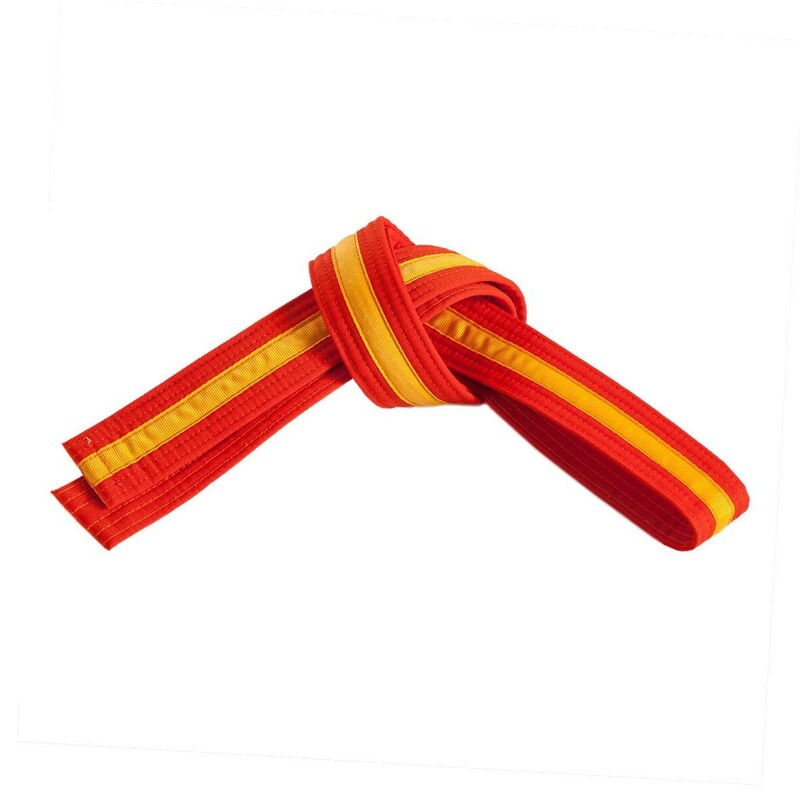 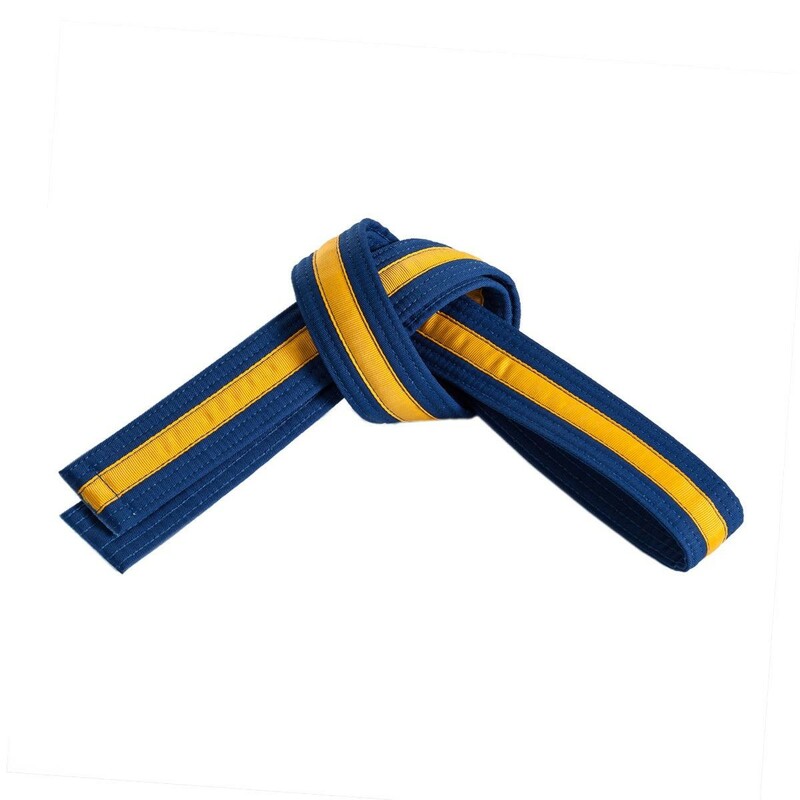 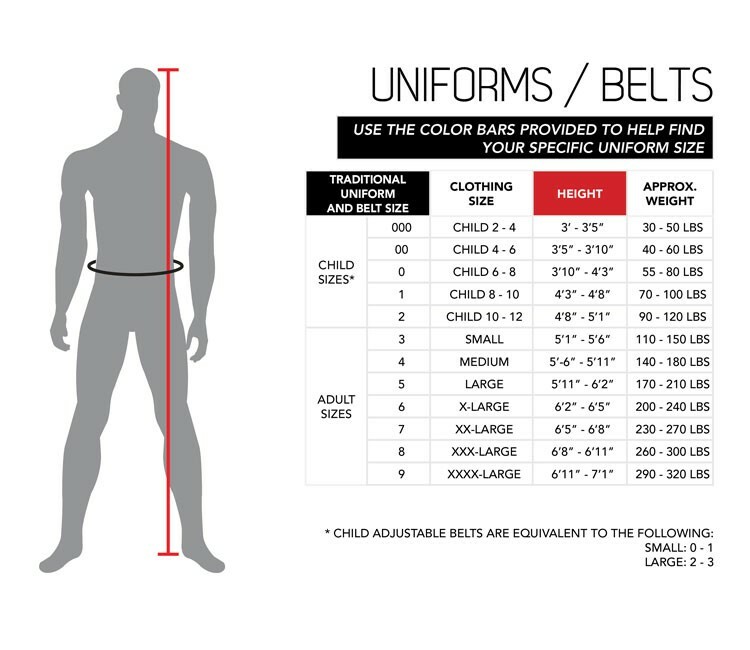 The belt wraps around the waist once and is made of a cotton/polyester middleweight material.